You will get to see the cover for this book, learn more about it, and enter to win a signed copy of the book plus a $25 Amazon gift card! Check all that out below and let me know what you think of the cover in the comments. Come back in December for a review of the book! Disclaimer: I received a free copy of this book and decided to review it. This in no way impacts my opinion of the book. I loved this one a lot but also had a couple issues with it that I hope are changed in the finished copy. 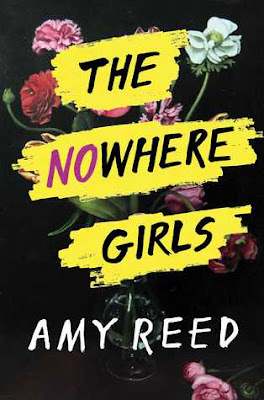 But there was such a powerful story here with giving us three narrators and women who are not usually depicted in mainstream media or feminism so we got to see intersectionality and ingrained racism in a way I have not seen before in a novel with this topic. I liked the vignettes that showed us just how hard it is to be a teenage girl and how other girls struggled with the same things that Grace, Rosina, and Erin had to deal with in their own lives. However, please be warned that this book is triggering if you have dealt with sexual assault, racism, and there is a line that is transphobic that I hope is edited before final printing. Last time on Jamie Travels to... Jamie had just recapped her first week, ending it by saying she was going to bed so she could celebrate her 25th birthday in style! 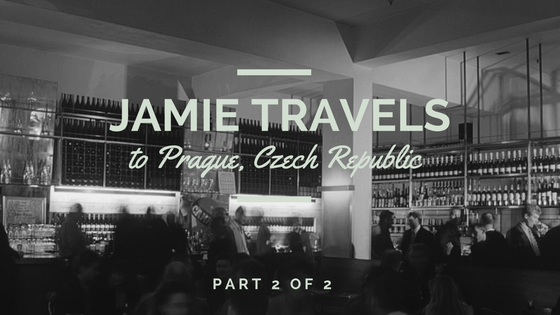 Find out about the rest of her trip to Prague in today's post! I am here to tell you all about my trip to Prague, Czech Republic which took place from September 8th to 25th, 2017. I was there for a school course that also included guided tours, lots of food, and maybe some indulgence in beer (I mean, it is cheaper than water there). So here is a bit of information about what I did, what I saw, and some tips and tricks if you want to visit and do bookish things (although I didn't do a tour of the sights in Daughter of Smoke and Bone cause I did not like that book)! It was my 25th birthday and I went out for a nice brunch and spent the day working on my paper. Sure, that seems lame, but I really need to get this done if I want to graduate on time. I also realized that if I went out that night, I would be tired all week and we had a full schedule for my last week in Prague that I didn't want to miss out on because I was tired and hung over. One thing I will say about the actual course is that I felt like a lot of people forgot we were there for a course and school. I was representing my university and my country - I didn't want to be incapable of participating. This was probably the most interesting day for me. We learned about Czech Republic Foreign Policy from two different sources: academic and from the Minister of Foreign Affairs himself. It was such a juxtaposition to see the differences in how someone who held office had to discuss the positions versus how someone who was free to critique did. We were also given a tour of the Foreign Affairs building which was really cool. They had high ceilings and that is definitely something I love more than anything else in this world. I really enjoyed this day.